The writer of several timeless country standards, Don Gibson put down his pen often enough to maintain a remarkable, decades-long career as a singer and performer. His childhood was fraught with adversity. His railroad worker father died when he was just two years old, and his mother remarried a sharecropper. Gibson loathed the farm life, but also school, which he dropped out of after the second grade. Paralyzed with shyness and hindered by a speech impediment, his escapism was the music he heard on the radio. As a teen, he learned guitar and modeled himself after other performers, paying the bills by hustling pool. His growing instrumental talent blossomed into a band. Formed in 1948, Sons of the Soil garnered enough attention to earn a spot on a popular radio show. It was there that Gibson’s individual talent shone through. A Mercury Records producer heard them and issued four sides for them, but the band split up in 1949. After another stint in a band called the King Cotton Kinfolks, Gibson pursued a solo career. A deal with Columbia resulted in promising records, but no commercial success. Gibson focused on his songwriting, and honing his craft earned him a publishing deal with Acuff-Rose. He insisted in an accompanying recording contract, which he received from MGM Records. After a long wait, the hits came fast. Over the course of the next few years, he wrote and recorded songs that are now synonymous with country music. “Sweet Dreams” was his first top ten hit, and later was immortalized by Patsy Cline. “Oh Lonesome Me” and “I Can’t Stop Loving You” were a powerful two-sided hit on both the country and pop charts. While the former became Gibson’s signature song, the latter is now considered a Ray Charles classic. Meanwhile, “Just One Time” was a #2 hit two times. Gibson took it near the top in 1960, and Connie Smith revived it in 1971. The hits slowed in the sixties and seventies, but still remained constant. He had a series of successful duets with Dottie West, most notably the #2 hit “Ring of Gold.” In 1972, he returned to #1 for the first time in fourteen years with “Woman (Sensuous Woman),” later covered by Mark Chesnutt. He spent much of the seventies collaborating with Sue Thompson, charting eleven songs together from 1971 to 1976. 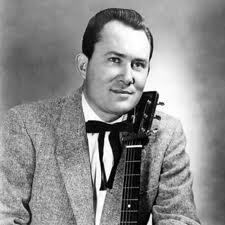 From the eighties up until his death in 2003, Gibson remained an Opry performer and elder statesman of the genre. He was inducted into the Country Music Hall of Fame in 2003, a nice bookend to his Nashville Songwriters Hall of Fame induction back in 1971. Interesting article. I never knew that Gibson was such a good writer. Searching BMI, I found that he wrote 201 songs, including the first 3 of your essential singles and “Just One Time”. 14 of his 201 songs were designated as BMI Award Winning songs, all written without co-writers. One of my favorites is Ronnie Milsap’s “(I’d Be) A Legend in My Time”, a #1 in 1974. I remember Sue Thompson for her pop hit “Norman” in 1961. I didn’t know she switched to country and recorded with Gibson in the 70’s. One can argue that Don Gibson should be higher on the list, but one thing for sure is that he deserves to be there just on the basis of his songwriting body, where he got covered by artists both inside and outside the country genre. “Oh Lonesome Me” got covered by Neil Young in 1970; and “I Can’t Stop Loving You”, besides Ray Charles’ classic 1962 recording, was frequently done by Elvis in the early 70s. As a kid, I thought he sang “Woman, Since You Is Woman”. Grown ups didn’t dwell on sensuality around kids back then, I guess.